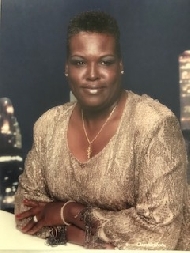 Linda Darnell Bogan obituary. Carnes Funeral Home. Linda began her education with Mrs. Anderson’s Kindergarten and continued through Booker T. Washington Elementary and Junior High School. In 1969 she graduated from Texas City High School. She was baptized at a young age by the late, Rev. J.H. Scott, at Barbour’s Chapel Baptist Church where her family attended faithfully. She joined Mt. Paran Missionary Baptist Church and served many years on the Usher Board. Her spiritual journey ended with her behind many ministries Living Word Church under Bishop James. Linda married Billie Williams and to this union two beautiful daughters were born. She worked in nursing for over 30 years at UTMB until she retired in 2002. Following her retirement, she took very good care of and looked out for her Aunt Dorothy for many years. Linda loved to find unique treasures at Garage Sales, Resale Stores or “What Not Shops” as she called them and any Goodwill in her path. Her deepest joy came from spending time with all of her family, especially her daughters, brother Michael, cousin Vanessa Woods, grandchildren and great grandchildren. She will be missed by everyone who knew and loved her because of her realness to any given situation. Linda was a fighter and she survived many obstacles in life. Her greatest Victory was the victory over her fight with Breast Cancer. She began and ended this fight with the faith that God was in complete control. She handled this like any other fight, it was always on and she continued to win. Her summons from the Lord on March 29, 2019 was just God’s divine timing, no more, no less. But God… and she fought to her very last breath. She is preceded in death by her parents and brothers, Donald Ray Bogan and Henry C. Bogan, Jr.
Linda leaves to cherish wonderful memories, her daughters, Shannon Darnell Williams and Shaunda Darnice Williams, MBA; grandchildren, Malcolm Sean-Jamal Williams, LeShea Darnetta Williams, Candis DeShaun Williams, Jason Shea Wright, Jr., Darius (Ashialay) Wright, Erick Von-Seth Eselle Eboehi; great grandchildren, Jada, Kamori, Daijon, Daijia, Dalacia, Au Goddess, Carmen, Carter, Payton, Lilliahna, Iris and Darius, Jr.; siblings, Alicia McAfee, Antiyna Moore, Ray Charles McAfee, Glenn McAfee, Jaquim Bohemia’s and Michael McAfee, Sr. and aunts Dorothy Stanley and Rose (Elijah) Smith, devoted friend Mel Jones; numerous nieces, nephews, cousins, classmates and friends will also share beautiful memories of Linda. There will be a public visitation held on Saturday, April 6, 2019 at 11am with a chapel service to begin at 12pm. Burial to follow at Hayes Grace Memorial Cemetery.